The company was founded in 1992 by Mr Alejandro Pereyra, in Cordoba, Argentina. Since it’s inception, the company focused on the design and manufacture of equipment for various industries and applications including equipment for off-road and utility vehicles, mining,construction and even rescue equipment. In 1988 the first Argentinian racing bumper was designed which led to the birth of a truly innovative Evolution bumper which will be fully integrated for each vehicle. In 2012 we not only celebrated our 20 year anniversary, but also implemented new projects to improve our information and production systems. Substantial investments were made in technology upgrades which contributed to us expanding and exporting from South America to Europe, Africa and Oceania. I have been a passionate off roader and overlander for the past 15 years. Our trips have taken us to Botswana, Namibia, Zimbabwe, Zambia, Lesotho, Swaziland and Mozambique. I have been searching for years for an alternative that not only looks good, but follows the lines and aesthetics of your vehicle and gives you most of the same benefits, like an increased approach angle and an incorporated Winch and recovery function. Well, I’ve found it-The Evolution Bumper. I decided to go to Argentina to firstly build a relationship with the manufacturer as well as experience first hand what the product is all about. I was welcomed by Rhino 4×4 in Argentina and quickly realized that we both share the same passion for 4×4’s, nature and off roading. Rhino 4×4 is a very successful family business. Whilst there I underwent extensive training in all technical aspects and the fitment of their products. I also went to the manufacturing plant and saw the different stages in the fabrication of the products. 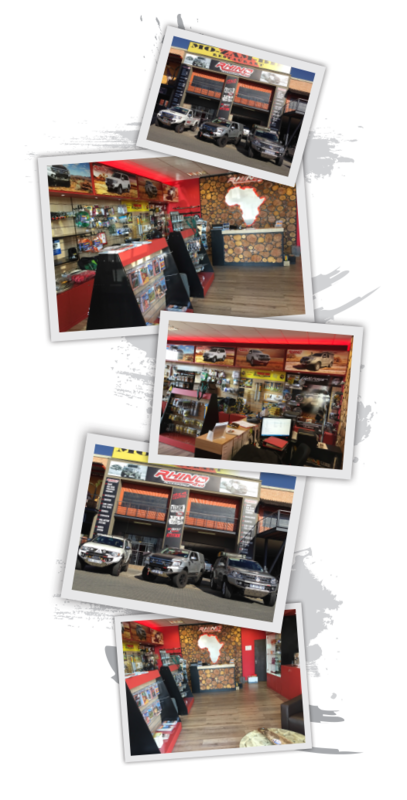 I am now the Sole Distributor of the Rhino 4×4 Products in Africa and proud to be part of the Rhino 4×4 family! Our vision is to give you our customer, alternative quality products and accessories with the best service and back up.